GenXalogy: Samuel McPherson... a storm in a glass of good Scotch? Samuel McPherson... a storm in a glass of good Scotch? It's been a big, big weekend for me, genealogically speaking (and my son started school, but back to the dead-people stuff). Jill Ball's recommendation has brought many of you over to read my blog, and there's also been some events connected to an ongoing family saga, so it's probably a good time to share this one. It's a big mess, but it's a great story, a ripping yarn even. I'd say apologies in advance to offended family members were it not for the fact I'm not sorry at all. Well, I'm sorry a few people were upset by it, but I'm not sorry it happened. Ok... so, to begin at the beginning. Full of stories about their past. My great-uncle Ron and my grandma, who is rocking a 'Black Watch' pin her dad bought her while on leave from the Western Front. Because the family is Scottish. Apparently. One of her stories about the past was about her grandfather, Samuel James McPherson. He was a teacher at Scotch College. He dedicated many years of his life to education, and was later memorialised at the school in the naming of their History Prize (Why? He taught accounting and book-keeping!) As in the best of stories, he died of a heart-attack just outside the school property when on his way home one evening, just a few days before he was about to retire. He was at least 73 at the time. He was very stern, and would think nothing of thumping one of the kids with his slipper at dinner-time then going back to talk as though nothing had every happened. Someone in his family was African and that's why we all tan so easily and have birth-marks. And he was Scottish. Apparently. 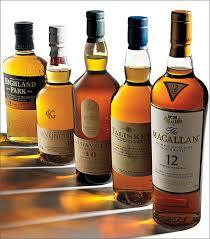 Or, as Grandma describes it, Scotch, which I always found somewhat disconcerting. What can I say? She is virtually a teetotaller and probably doesn't realise how it sounds. Great-great grandpa, is that you? The official records told me somewhat more than that. He married a German woman while working in Melbourne. 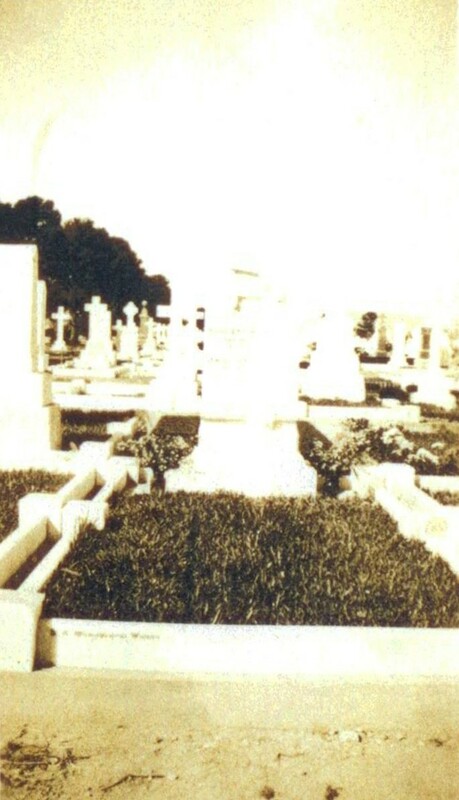 He worked at a number of elite Adelaide private schools. He was highly regarded and raised his children to succeed in professional or personal endeavours (never both: a story for another time). His mother could not write. Nobody seemed to know what year he was born in exactly, or whether he was born in South Africa or Ayrshire. 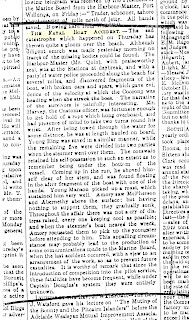 But he was the son of John Henry McPherson, a Scotsman sailing from the ports of South Africa, and Betsey Geyer. And he was Scottish. Apparently. I met cousins of my Grandmother's (who are just wonderful, wonderful people, and I wish I could have found something better for them in the research process). They told me about Samuel's career, complete with his references, showed me photographs of him, told me about his incredible children. They WERE incredible. I'll be blogging about each and every one of them at some point. 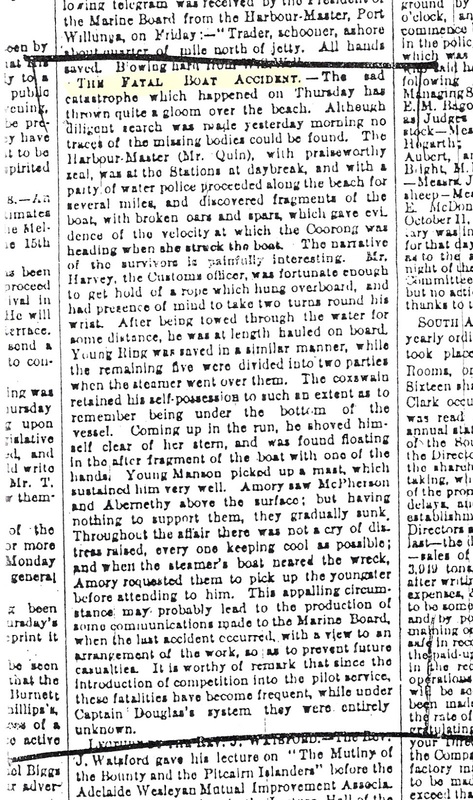 There was the sailing and shipwreck stories about his arrival here from South Africa, and the stories about his mother, a great cook and boarding-house keeper, and his father, who died in a horrible accident in the St. Vincent Gulf. He was a sailor, but like most, he couldn't swim, so the one time he got knocked into the water that was it. And Samuel was Scottish. Apparently. I don't know why, but I kept digging. Maybe it was to get facts. Maybe it was because every newspaper article which mentioned Samuel said he was John Henry McPherson's son, even the ones which were nothing to do with his father at all, and the lady doth protest too much. Either way, I ended up discovering a South African record indicating that Samuel's mother had been married before, not long before either, to a man named George Bagshaw. He was NOT SCOTTISH. Apparently. Samuel was the name of George's father, and James was the name of his step-father, meaning Samuel was either George's son or John, Betsy's second husband, was unusually accepting of his wife's first marriage to the extent that he would name his first-born son after people of significance to his wife's first husband. Yeah, I'm not buying it either. 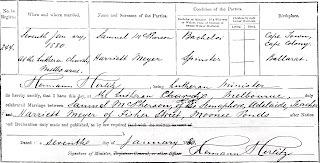 There was a baptismal entry for a Samuel James George Bagshaw, son of George Bagshaw, which matched Samuel's headstone's implied age of birth. The McPherson cousin and I are pretty convinced that Samuel was the son of the first husband. We still really value the second husband. He was the man who raised Samuel; Samuel was obviously very fond of him and he had huge input into the cultural identity of our family and no doubt lots of other aspects we will never know or understand. Naturally there are a few in the family who are/would be deeply upset by this revelation that they are not genetically McPhersons and not genetically Scottish, and that's been a real downside to the whole process. I can understand their concerns: if anyone were to suggest I was not a McDermott, I know I'd really struggle to accept their theory. However, I choose to take a bigger picture view in the nature vs nurture debate and look at the fact that John McPherson still stamped his own distinctive flavour on our branch of the family, genetic input or not. 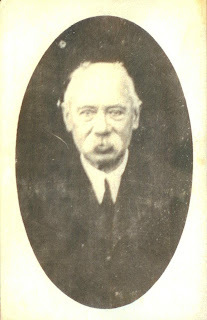 He is my great-great-grandfather (adoptive) and George Bagshaw is my great-great grandfather (genetic). John Henry is one of only two people I've ever bothered to enter using the 'custom relationship' features in Family Tree Maker 2012, because as far as I'm concerned, he still rates. To help shed some light on things my grandmother took the very avant-garde step of taking a DNA test, and we also bought one for a Bagshaw relative to try and settle matters. (Grandma is not hip with the 90-something kids!) Unfortunately it wasn't conclusive in that there was no match to Bagshaws, well, yet. 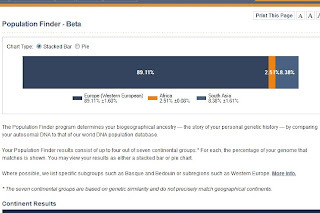 However, the company (ftdna) did provide a genetic profile of my grandmother which showed that some of her DNA originated in Africa and that a further percentage was from South Asia. 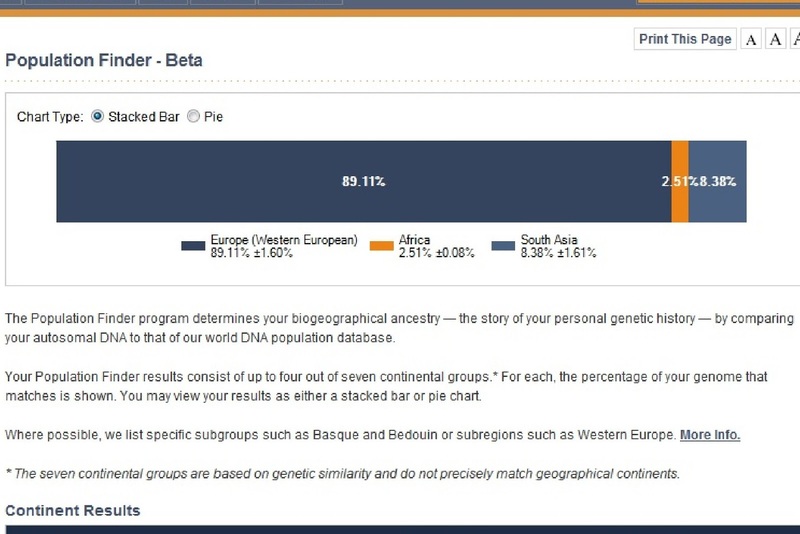 In case anyone is wondering, my mother's test with them shows 100% western European, so they don't just throw African in the mix for everyone to support a pre-existing human-origin hypothesis. There had always been a family story about Africa, both from Grandma and her cousin, and this proved it. At this point I supposed that given the Bagshaws originated from London, Betsy/Betsey Geyer must be the origin of this 'exotic' DNA, despite her Germanic surname. As you've surmised, a few members of the family have been less than delighted about this discovery. Not because they have any issue with being, as my husband so charmingly put it, "part eggplant", but because they were used to thinking of themselves as having origins in the Scottish highlands. And we in dreams behold the Hebrides"
That sort of thing. I've been quite troubled about having robbed them of their dreams of tartan and bagpipes, although in fairness the family were raised with those by John, so they are still part of who we are. That's been the state of play for a little while now. Fast forward to the weekend, when my Bagshaw relative forwarded me some new information he'd been working on. He still has contact with family in South Africa, and as many of you would know, you pretty much can't research South African ancestry without a local contact. He has been doing further research on the Bagshaws, and has discovered a few items of huge interest which have left me really floored, to say the least! 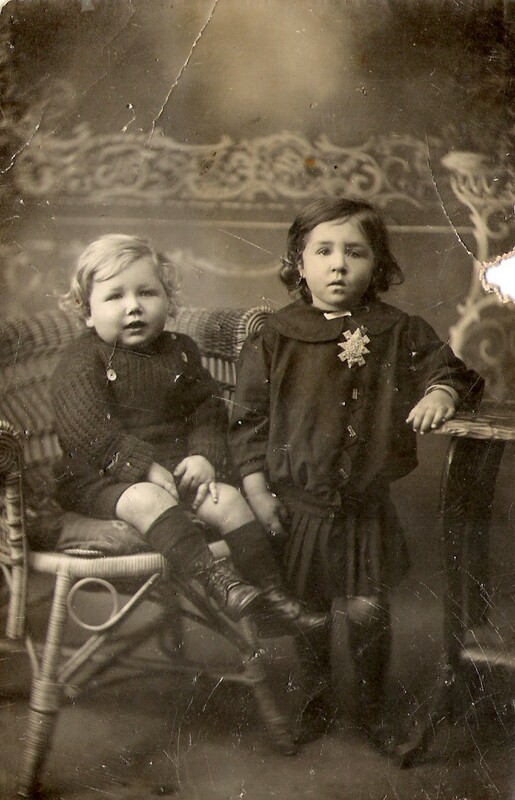 My Bagshaw ancestor, George, was the child of Samuel Bagshaw and Margaret Connolly. It turns out that Margaret was born a slave. 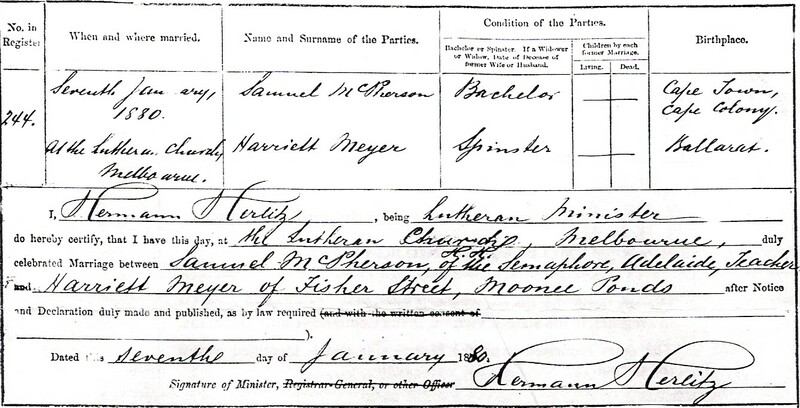 By the time of her marriage to Samuel she was listed as "free slave" (still in the slave marriage register). She was the daughter of a slave and 'woman of colour', in St Helena. Her father J Connolly was a British (well, probably Irish but serving in the British army for profit) soldier in St Helena (as was Samuel Bagshaw) during the time of Napoleon Bonaparte!!!! Only just over 5000 population, and there were my ancestors and Napoleon! There are so many potential stories there that I just can't even begin to get my head around it. The slavery, Napoleon, Samuel's grandmother's triumph against the odds and her experiences when the family lived in England for a while, Samuel Bagshaw's family's reaction to his marriage to a former slave, how a man whose grandmother was a freed slave became a school-teacher to Adelaide's establishment, how his first cousin was president of the SA Stock Exchange... I just can't even. Now if it had turned out we were connected to this guy, THAT would have been even weirder! Edited to add: Elizabeth, if you read this again, your message had an incorrect email address and bounced back. Please do get back in touch. Tee hee. What a wonderful weekend of research. Good for you. I can kind of understand your rellies being a bit miffed about not having Scottish heritage. I do love getting misty eyed about my Scottish heritage. 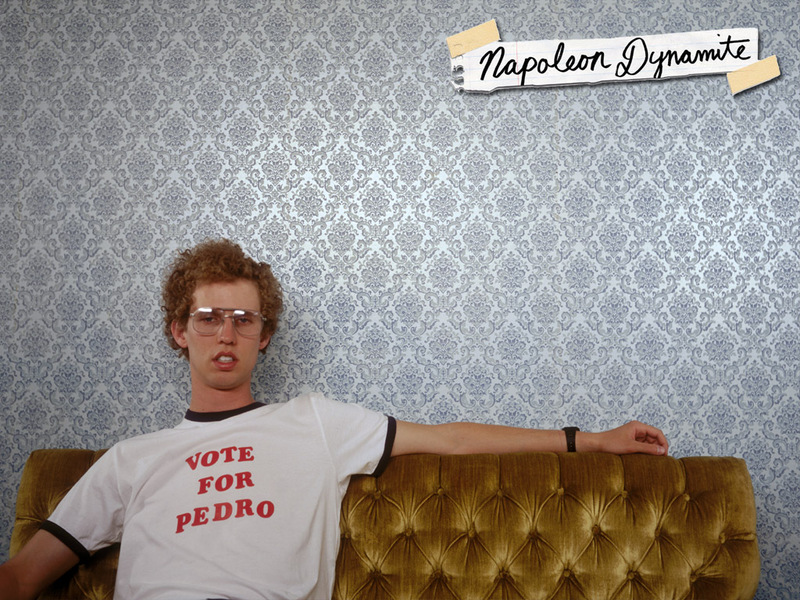 But Napoleon and St Helena - what a story! That's got to be good huh? Great story! Lots of twists & turns. Looking forward to hearing more. From another Gen-X-er (but 45).